It's a new year, and often times that means most of us are looking to make some changes in our lives, in particular, our diets. But just because you are eating better doesn't mean you have to skip dessert!! 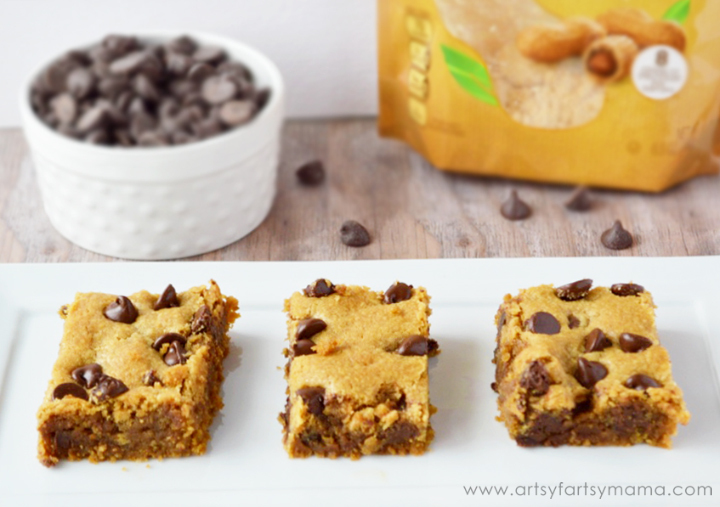 Take, for example, these Peanut Butter Chocolate Chip Blondies using Jif Peanut Powder. By simply adjusting some ingredients, you can still satisfy your sweet tooth without killing your diet in one bite. 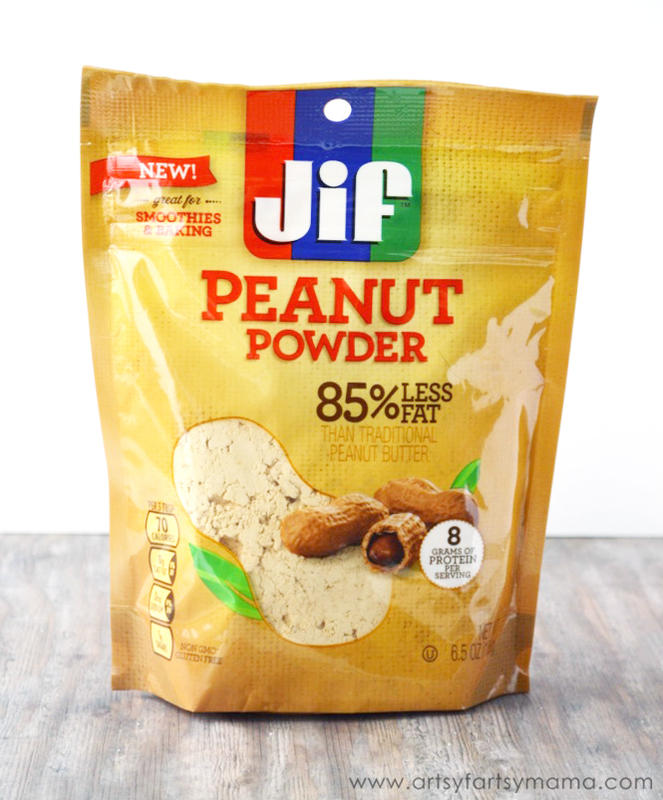 Since it is is made from just one ingredient - fresh roasted peanuts, Jif Peanut Powder has the same amount of protein as traditional peanut butter, but has 85% less fat and no added sugar or salt. That makes using the powder in smoothies and baking a smarter choice while keeping the peanut butter flavor we all love! 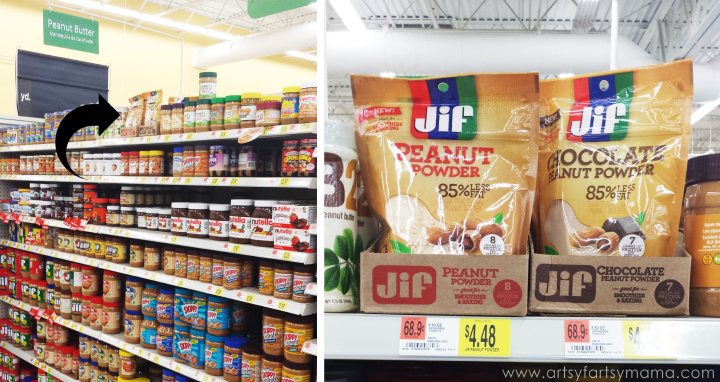 Jif Peanut Powder is easy to find at Walmart in the peanut butter aisle. You can also purchase Jif Chocolate Peanut Powder with semisweet chocolate and a dash of sugar if you're looking for a more chocolate peanut butter flavor. 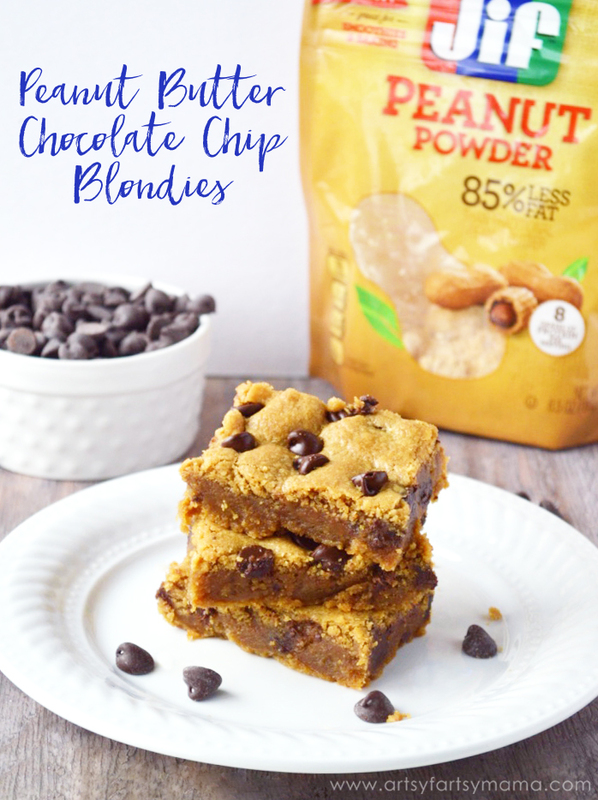 These Peanut Butter Chocolate Chip Blondies are quick and easy to bake and are perfectly chewy with a light, crispy top and just the right amount of peanut butter flavor! To make a more chocolatey blondie/brownie, you can substitute the Jif Chocolate Peanut Powder in place of the regular Peanut Powder. Cream butter and brown sugar on medium speed until fluffy. Add egg and vanilla and stir until just combined. Slowly mix in in peanut powder, baking soda and flour until smooth. The dough will be thick! Press dough evenly with hands into a greased 8-inch square baking pan. Bake for 26 - 28 minutes or until toothpick inserted in the center comes out clean. The blondies make your house smell fantastic while baking, and taste delightful right from the oven or with a scoop of fat-free vanilla ice cream. 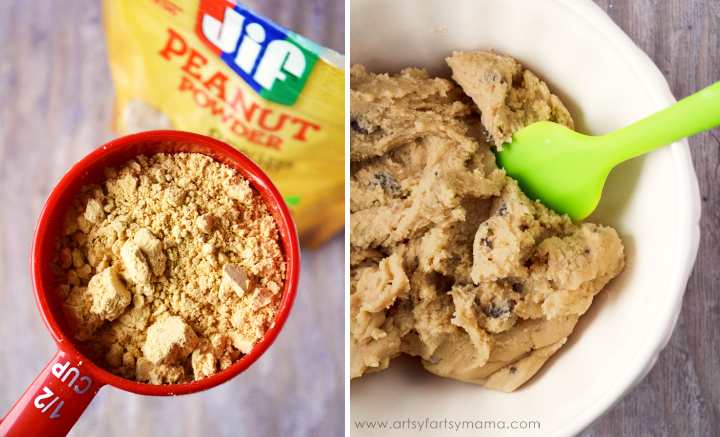 What will you bake next with Jif Peanut Powder? Peanut butter and chocolate together is my kryponite! I LOVE it, and these look amazing! These look delicious! Do you think I could add some mini m&ms? 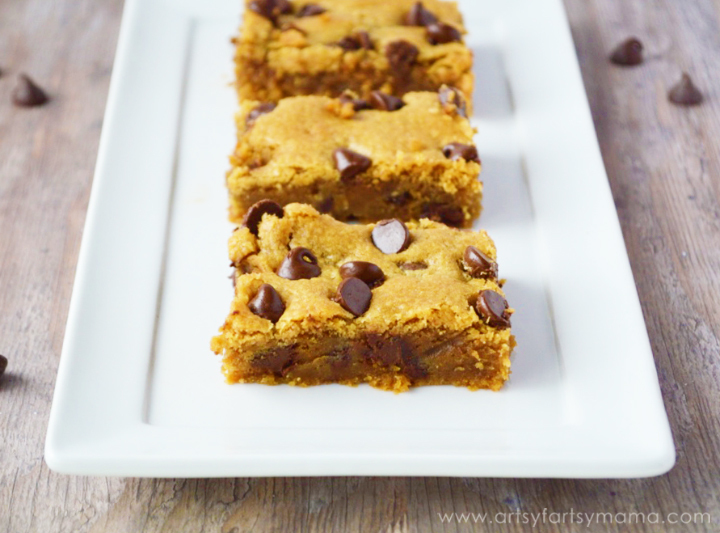 These PB and Chocolate Chip Blondies look super delicious. I'm sure your house smelled fantastic when you baked them. Oh these looks just scrumptious! I had no idea peanut powder existed. Luckily we can get peanut butter here that doesn't include anything but ground peanuts. I already have the Jif powder - making these! How have I not heard about Jif Powder? We are all peanut butter addicts in my family. I need to get this asap! Your blondies look delish!